Skrumble Network is currently in the process of building a completely decentralized social media communication application. Incorporating the traditional messaging, audio and video calling for peer-to-peer and groups, it will also include the ability to send cryptocurrencies in-app, and more. It is Skrumble Network’s mission to innovate methods of communication and create opportunities for people to connect globally on the most secure networks possible, which is why they’ll also be building their very own blockchain that is uniquely optimized for communication connections and transactions and cannot be blocked by any firewall. Originating from the idea that people should own their data and not a centralized ledger keeper like Facebook, WhatsApp, Telegram etc., just waiting for the next hack, their giving users back ownership of their data and the freedom to communicate without feeling concerned with intermediaries and unknown third parties having access to their private information. With everything happening right now with the massive 87 million Facebook user data leak, Telegram being banned in multiple countries like Russia and Iran and also being hacked, a back door being found in WhatsApp’s encrypted group chats, and WeChat censoring conversations, there is no better time for us to drop the middle entities and centralized server hosts who are constantly manipulating our data. Due to the rise of blockchain and the new decentralized paradigm, Skrumble Network feels it is essential to explore the possibilities of using the technology to demonstrate how decentralized networks have the power to be the catalyst for data privacy and to help truly democratize communication on a global scale. 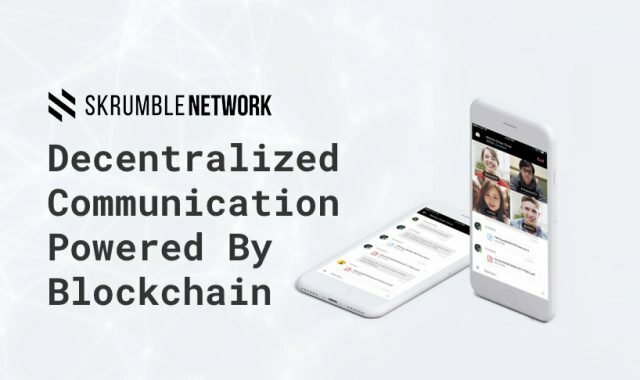 Skrumble Network will be threefold: a secure, communication-centric blockchain, a decentralized social media communication application and an open source communication layer to build into any application. These incredible technological advances are being developed by the team behind Skrumble Technologies Inc. An innovative communication technology company, Skrumble Technologies Inc and it’s growing team of over 40 members have already succeeded in enhancing the communication practices of their business and enterprise clients. However, now they are focusing on Skrumble Network, who they state is for everyone who feels an inherent need to connect. “Our users desire a secure community where they can feel comfortable enough sharing their personal data and won’t need to worry about who else has access to it, because no one else will,” says Co-Founder Eric Lifson. 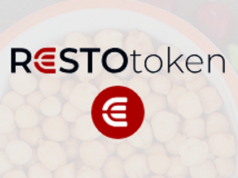 They’ll be launching a beta version of the app on April 28th, 2018, which is the first step on their journey to a truly decentralized communication ecosystem. They’ll even soon be releasing a detailed product timeline to announce the dates for features added, when they’re launching the decentralized version, the initial release of their blockchain, and when developers can access their SDKs for the communication layer. A few of of the Skrumble Network team members recently came back from a 6-week road show in North America and Asia attending multiple exclusive events, they have grown from 10,000 to over 47,000 members in their Telegram group in just one week, and their list of amazing advisors continues to grow. 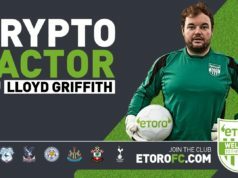 Since the project was announced, they’ve attracted such renowned crypto and tech luminaries such as Anthony DiIorio, Co-Founder of Ethereum, Decentral and Jaxx, Jeff Pulver, VoIP Pioneer and Co-Founder of Vonage, Jinius Tu, CTO of Aion, Jiangang Wu, Fusion Foundation Development Expert, Dr. Redouane Elkamhi, PhD, Associate Professor of Finance at Rotman School of Business at the University of Toronto, and more to be announced. Social media has completely changed the face of communication, and now, data privacy and ownership is one of the biggest concerns of our time. Not only social media, but now the messaging apps we use everyday to chat and call around the world that have promised us end-to-end encryption and data security are being easily decrypted, blocked by entire countries or deleted from app stores, censored by governments and hacked. With no middle entity or centralized server host in between to censor, block or manipulate any data, Skrumble Network’s blockchain and application will enable open, global private communication and transactions that are truly community owned and operated. Previous articleCould Blockchain Overcome Data Privacy Issues in Light of the Facebook Scandal? 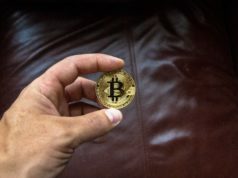 Next articleWill Switzerland Become the Crypto-Nation by 2020?